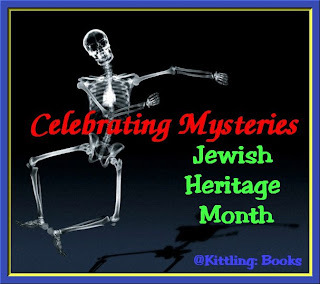 This post wraps up my celebration of Jewish Heritage Month with taking a look at four authors who have given us characters who are police detectives, private investigators and secret agents. I can't stay away from a good police procedural, and I know many of you feel the same way. Or... you're just as passionate about private investigators or secret agents. Whichever you prefer, I think one of these authors will have books that you just have to read! As ever, I'd like to thank my 4 Mystery Addicts crime fiction think tank for helping me narrow down all my choices! 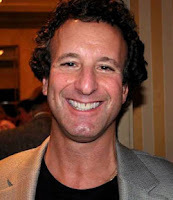 Stuart Kaminsky was a mystery writer and film professor who is known for his series featuring Toby Peters, a private investigator in 1940s Hollywood; Inspector Porfiry Petrovich Rostnikov, a Moscow police inspector; and Lew Fonseca, a process server from Sarasota, Florida. However, it's another of his series that I'd like to spotlight this week. Abe Lieberman is a sixty-something Jewish police detective in Chicago, Illinois. There are ten books in the series featuring Lieberman: Lieberman's Folly (1990), Lieberman's Choice (1993), Lieberman's Day (1994), Lieberman's Thief (1995), Lieberman's Law (1996), The Big Silence (2000), Not Quite Kosher (2002), The Last Dark Place (2004), Terror Town (2006), and The Dead Don't Lie (2007). Sixty-year-old Chicago police detective Abe Lieberman is having all the troubles he can handle when Estralda Valdez, a stunning Mexican prostitute, comes to him with a proposition he can't refuse: Estralda will help him with valuable information if he'll get a john off her back. But Lieberman's good intentions pave the way for a brutal murder. A murder that will lead Lieberman into the darkest depths of Chicago crime and corruption, and into the kind of trouble that could get him killed. 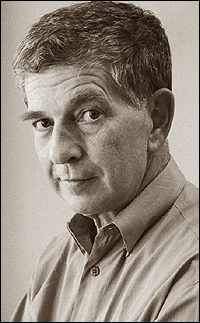 Jon Land is the bestselling author of over twenty-five novels. He often bases his novels and scripts on extensive travel and research. He has written a series of seven books featuring Ben Kamal, a member of the Palestinian police force on the West Bank and Danielle Barnea, a Shin Bet (Israel's FBI) agent in Israel: The Walls of Jericho (1997), The Pillars of Solomon (1999), A Walk in the Darkness (2000), Keepers of the Gate (2001), Blood Diamonds (2002), The Blue Widows (2003), and The Last Prophecy (2004). In an attempt to preserve an uneasy peace between their peoples, Palestinian cop Ben Kamal and Israeli government agent Danielle Barnea team up to catch a West Bank serial killer. With the assistance of a motley assortment of helpers picked up along the way, they quickly find their killer but soon discover that there is something even more sinister behind both the murders and their forced collaboration. Thanks to intriguing characters, a timely backdrop, and short, action-packed chapters, Land delivers more than just your average thriller. Fast, exciting, and, even more important, believable. 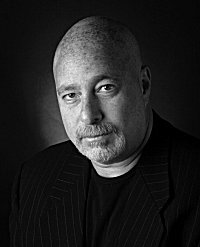 Reed Farrel Coleman is an adjunct professor at Hofstra University, teaching writing classes in mystery fiction and the novel. Probably his best known series of books features Moe (Moses) Prager, an ex-cop private investigator in 1980s New York City. The series currently has six books: Walking the Perfect Square (2002), Redemption Street (2004), The James Deans (2005), Soul Patch (2007), Empty Ever After (2008), and Innocent Monster (2010). Raymond Chandler once advised that when things get slow in a story, have a man with a gun come through the door. What's most remarkable about Coleman's first mystery to feature Brooklyn PI Moe Prager is that he never resorts to such a crude device. Rooted in the late 1970s, the story is so solid, the characters so compelling, the pace so expertly driven that he can dispense with the usual genre stitches. If the one murder in the book occurs off-stage, there's no lack of suspense. The author makes us care about his characters and what happens to them, conveying a real sense of human absurdity and tragedy, of the price people will pay to get ahead or hide their true selves. Moe's job (he's an ex-cop forced to retire because of a knee injury) is to find the son of another cop, a young man who left a party one night and hasn't been seen since. So many people have been searching for Patrick Mahoney in the 20 years since his disappearance that Moe doesn't expect to be successful. As his investigation proceeds, he finds himself looking for two Patricks: one a choir boy lookalike and the other described by those who knew him as "weird" and "strange." But why? Is it possible Patrick's father really doesn't want to find his son? Patrick stands at the core of the novel, and the intricate tale of what happened to him makes for a first-rate mystery. Moe is a fine sleuth. Coleman is an excellent writer. 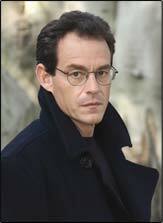 Former journalist Daniel Silva is an award-winning #1 New York Times- bestselling author. 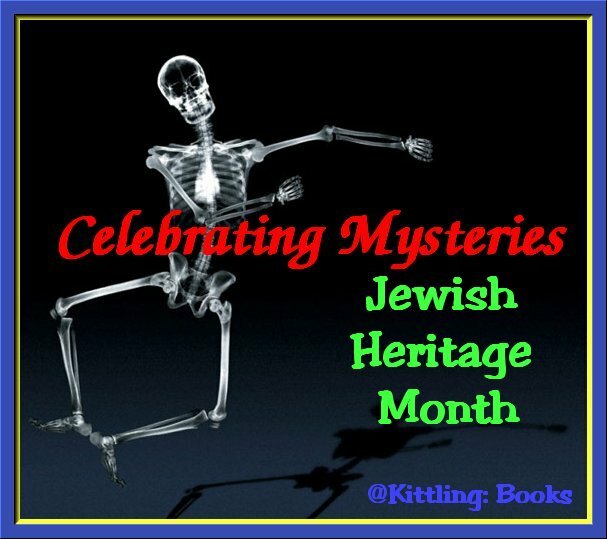 He's written a series of ten books featuring Gabriel Allon, an art restorer and Israeli secret agent. The books in the series are: The Kill Artist (2000), The English Assassin (2002), The Confessor (2003), A Death in Vienna (2004), Prince of Fire (2005), The Messenger (2006), The Secret Servant (2007), Moscow Rules (2008), The Defector (2009), and The Rembrandt Affair (2010). 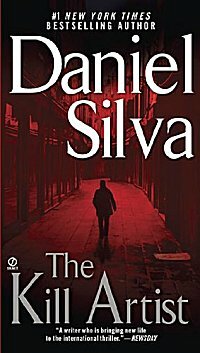 The tragedy of the Palestinian-Israeli conflict and despair of its resolution provide the backdrop for Silva's heart-stopping, complex yarn of international terrorism and intrigue. 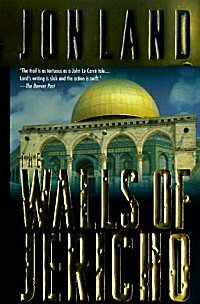 Israeli master spy Ari Shamron sets an intricate plot in motion to lure deadly Palestinian assassin Tariq al-Hourani into his net. Art restorer Gabriel Allon, a former Israeli agent whose family was killed by Tariq, is lured back into the fray by Shamron and teamed with Jacqueline Delacroix, a French supermodel/Israeli secret agent whose grandparents died in the Holocaust. Gabriel sets up in London to monitor Yusef, Tariq's fellow terrorist and confidant. Jacqueline is assigned to seduce him in hopes of intercepting Tariq, who is devising a plan to kill Israel's prime minister during peace talks with Arafat in New York and he has similar plans for Gabriel. The tortuous plot leading the various parties to the showdown in Manhattan is a thrilling roller-coaster ride, keeping readers guessing until the mind-bending conclusion. Sensitive to both sides of the conflict, the narrative manages to walk a political tightrope while examining the motivations of Palestinians and Israelis alike. The duplicity and secret financial juggling to keep government hands clean is personified in publishing mogul Benjamin Stone, who backs the Israeli efforts. He is just one of many larger-than-life characters (both real and invented) thrown into the mix-- Arafat himself has a tense encounter with Tariq that underscores the volatility of terrorist loyalty. An array of global locales adds to the complexity and authenticity of the dizzying, cinematic plot. Wow! I don't know about you, but I just added several books to my wish list! Stop by next weekend when June will start off my celebration of mysteries that spotlight the Great Outdoors. I quite enjoyed this post and added some new books to my wishlist. Thanks. Chelsea-- Fantastic! These posts show up every Saturday... not that I want to add more to your wishlist! LOL Thanks for stopping by!